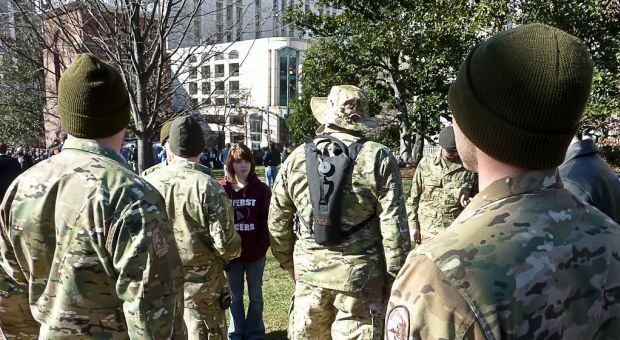 The Rise of Militias and Hate Groups in the U.S.
A Christian militia in Michigan is charged with plotting against the U.S. and attempting to deploy weapons of mass destruction. How a weak economy, the election of the first African-American president and political extremism are fueling the rise of militias and hate groups. Mark Potok Director, Intelligence Project at the Southern Poverty Law Center, the group's latest report, "Rage on the Right," documents the growth in the number of hate and extremist groups. Chip Berlet A senior analyst with Political Research Associates and a veteran freelance writer who specializes in investigating right-wing social movements. Carrie Johnson Reporter, The Washington Post. Carolyn Brown An Assistant Professor at American University, School of Communication, and a documentary filmmaker.